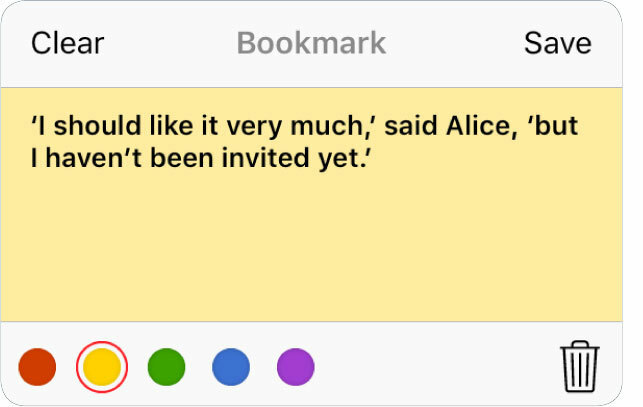 To displays Bookmarks, Highlights and Notes Panel tap the button on the Toolbar. 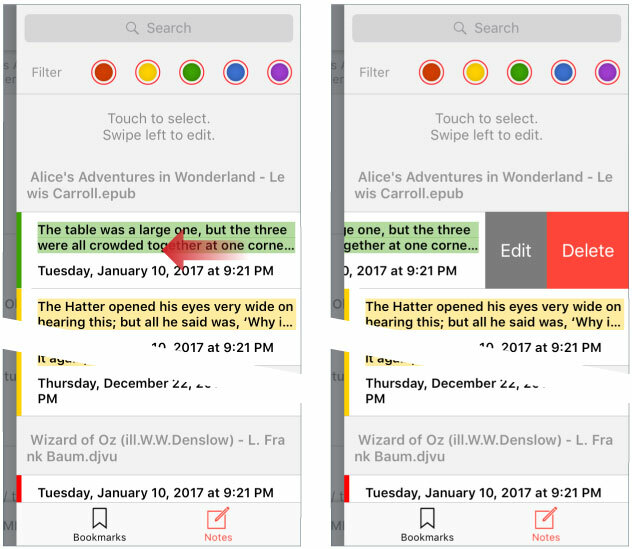 Bookmarks, Highlights and Notes Panel consists: Search Mask (by name), a Filter by color and the List. Tap Search field to enter Bookmarks (Highlights or Notes) Search Mask. The Bookmarks (Highlights and Notes) List includes the file name, the bookmark (highlight or note) name. Tap the name to go to the reading mode. To edit the bookmark (highlight or note), swipe to the left. In the popup window, enter the new name and/or select the color. Tap Save to save your settings and exit from dialog. Tap Clear to clear the bookmark (highlight or note) name. Tap outside the dialog to cancel settings and exit from dialog.